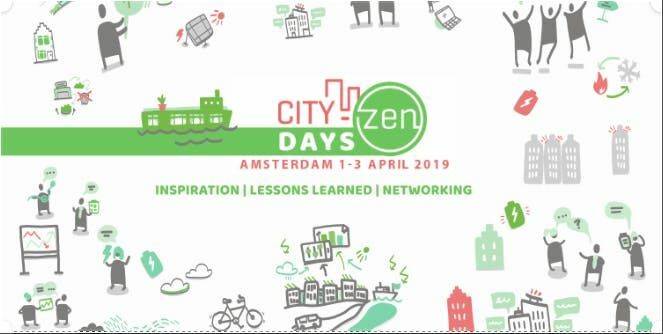 Taking place in the heart of Amsterdam on 2-3 April 2019, City-zen Days Amsterdam showcases innovative projects aimed at building a methodology and tools for energy efficient cities, industries and citizens. By joining this conference you will learn more about the projects, you will be able to join breakout sessions with hand-on experts who will share valuable lessons learned and have ample opportunities to expand your network of like-minded professionals. Join the opening with Amsterdam Alderman van Doorninck, responsible for Sustainability. Engage in lessons learned in Amsterdam, Grenoble and other European cities. Visit our buildings, smart grids, heating & cooling demonstrations in Amsterdam. Connect with the heroes who share their failures during the City-zen Days FuckUp Night. Enjoy the inspiring keynote on the Ins & Outs of Energy Transition and Politics in a Metropolitan Area. Get inspired by City-zen’s societal impact. Experience the circular neighbourhood Buiksloterham. 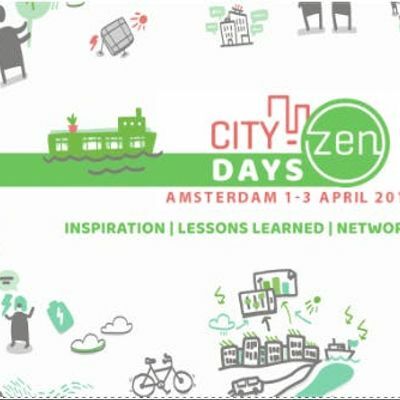 Participate in an interactive lunch with the CTO of the City of Amsterdam. Please join us to catch a glimpse of a sustainable, energy self-sufficient and smart urban future!